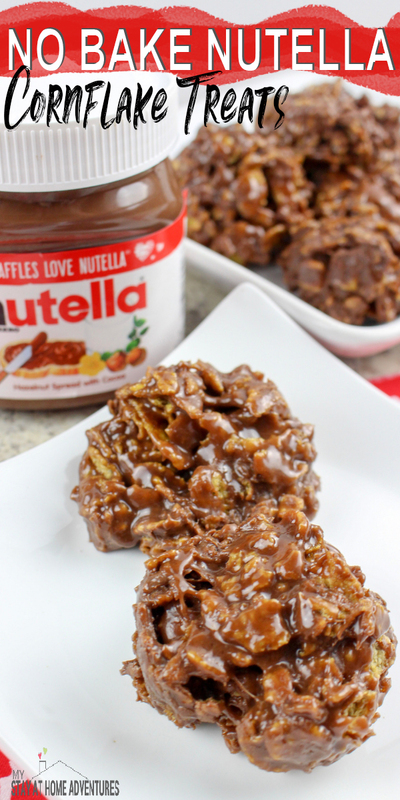 When it comes to Nutella recipes, you are about to learn how to make No Bake Nutella Cornflake Treats that your family is going to love. 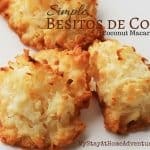 What I love about this no-bake cornflake treat is that its only 4 ingredients and super easy to make. 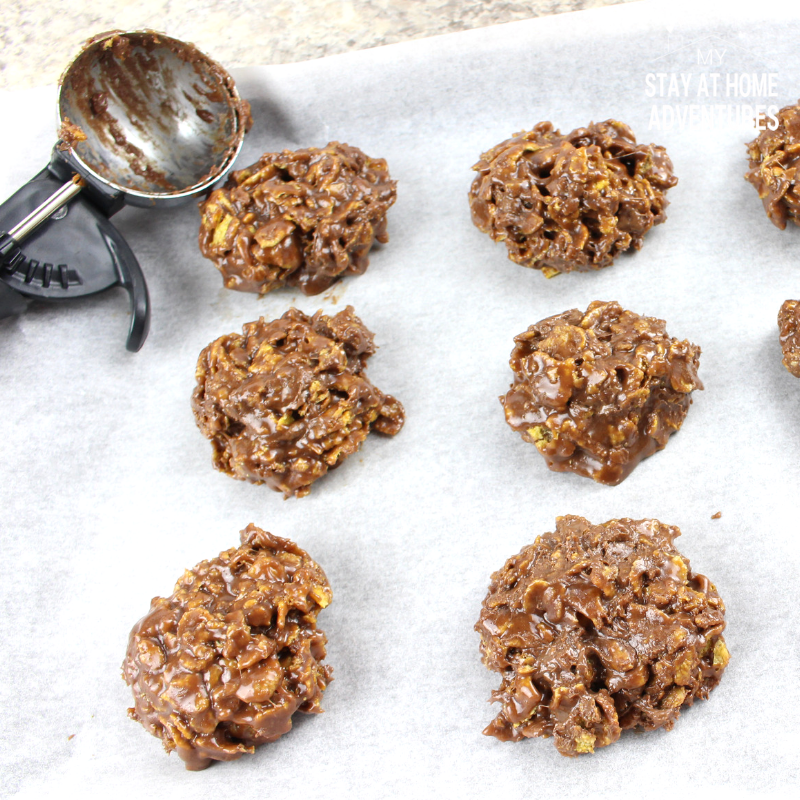 Now that you have gathered all your ingredients let’s make this no-bake treat! 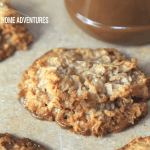 Step 1 – Place wax or parchment paper in a large cookie sheet. 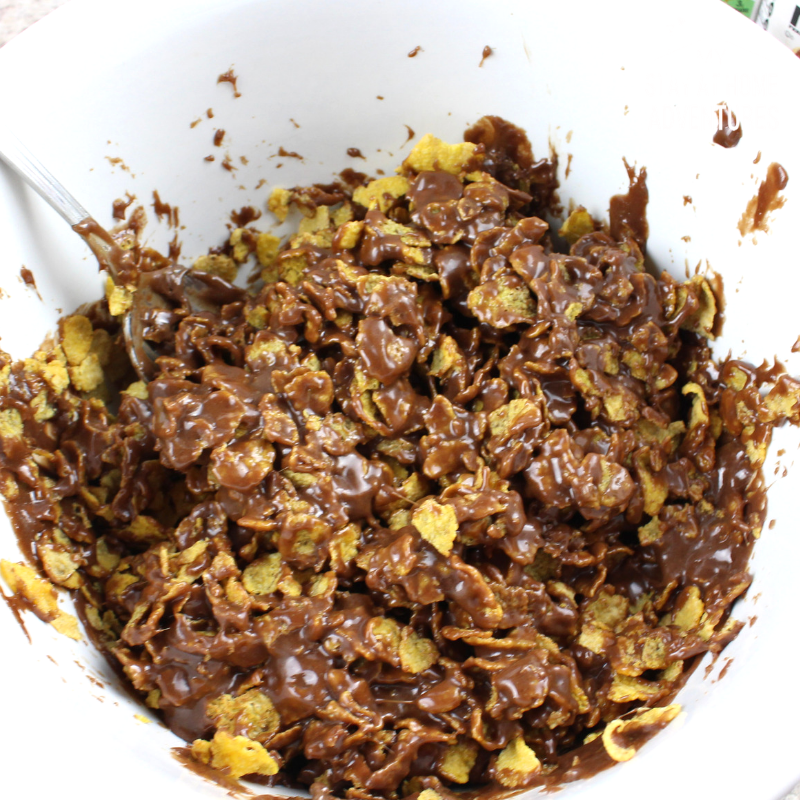 Step 2 – Using a large mixing bowl place the cornflake and set it aside. 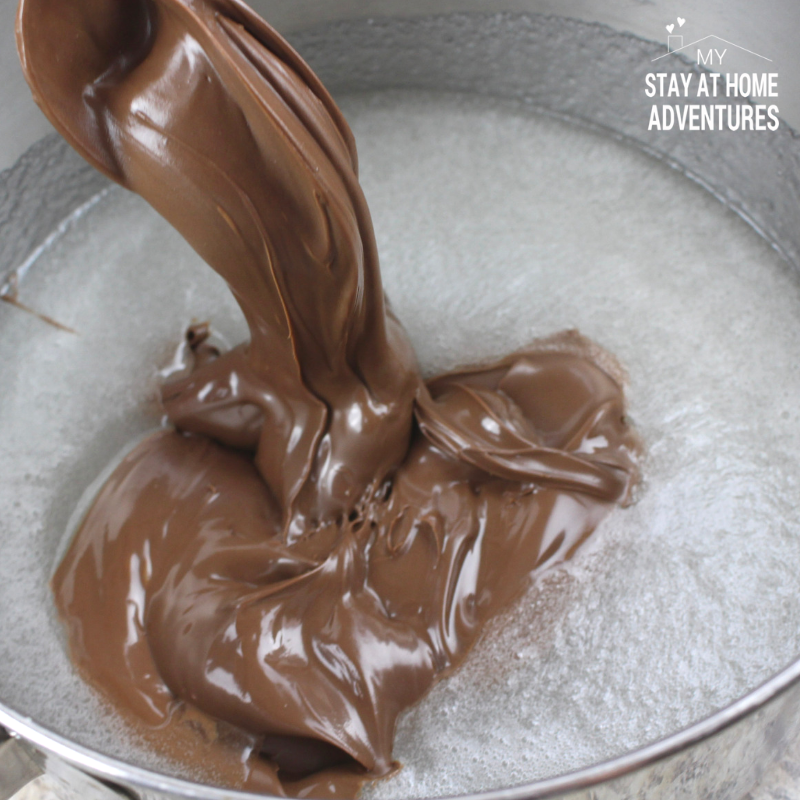 Step 3 – On a medium saucepan add the sugar and Karo syrup and hear using medium heat. 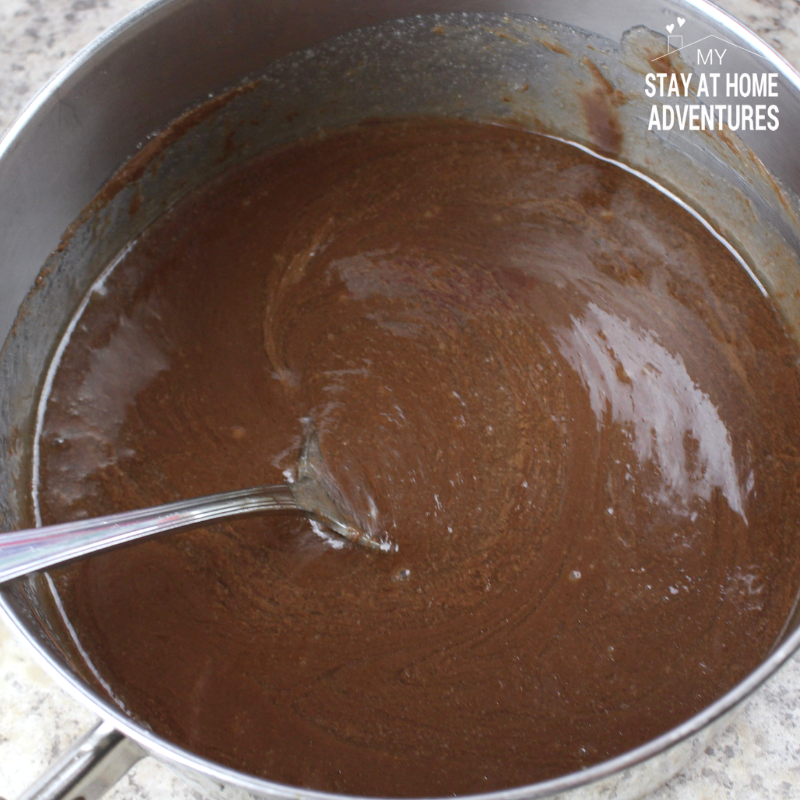 Step 4 – Stir the sugary syrup until all sugar is completely dissolved. Step 5 – Remove from heat. 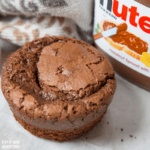 Step 6 – Add and stir the Nutella to the sugar mixture. 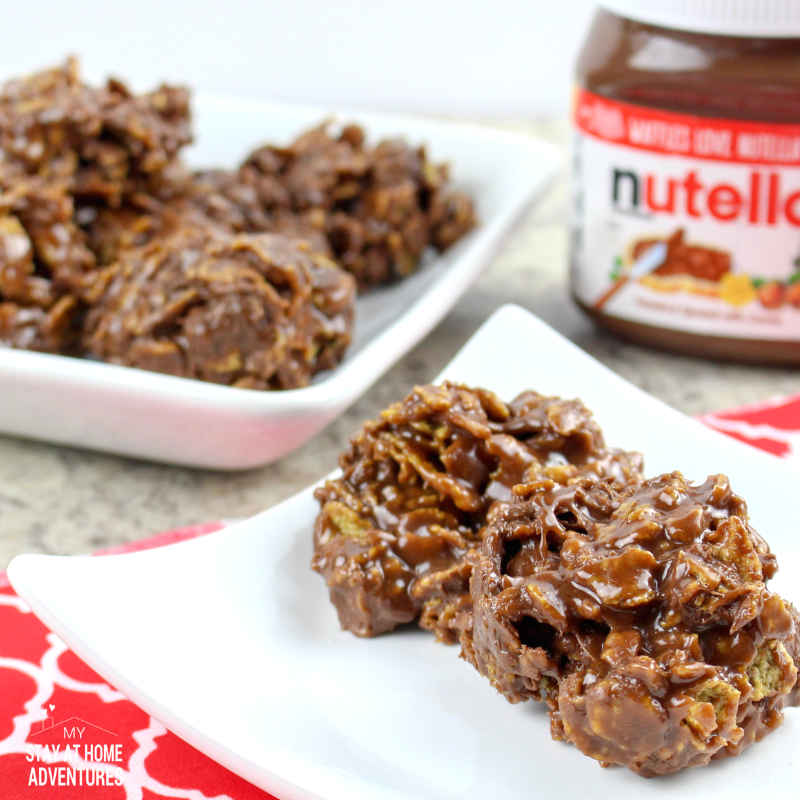 Step 7 – Add the Nutella mixture to the cornflakes and gently mix. 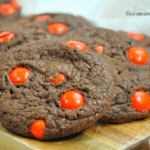 Step 8 – Spoon the mixture onto the lined cookie sheet. Step 9 – Chill for about 30 minutes. 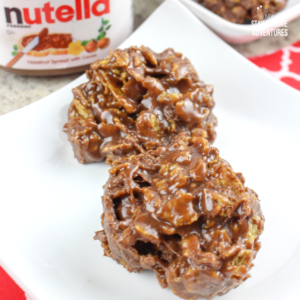 Now that you know who to make this super simple No Bake Nutella Cornflake Treats it is time to print the exact measurements. 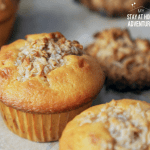 Place the cornflakes into a large mixing bowl and set aside. 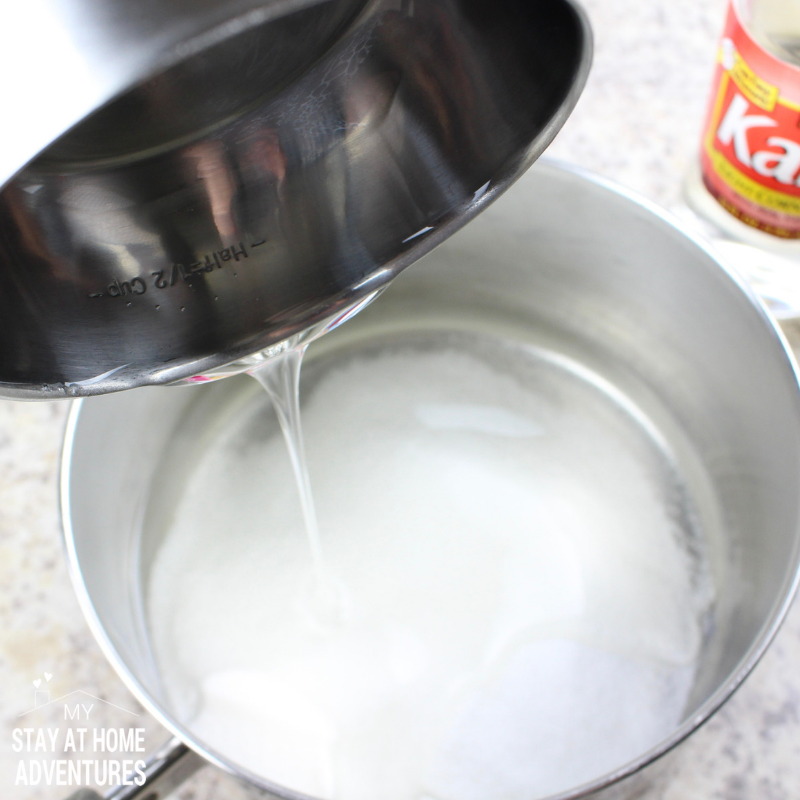 Add the sugar and Karo syrup to a medium saucepan. Heat under medium heat, occasionally stirring, until the sugar is completely dissolved (about 1 minute). Remove from heat. 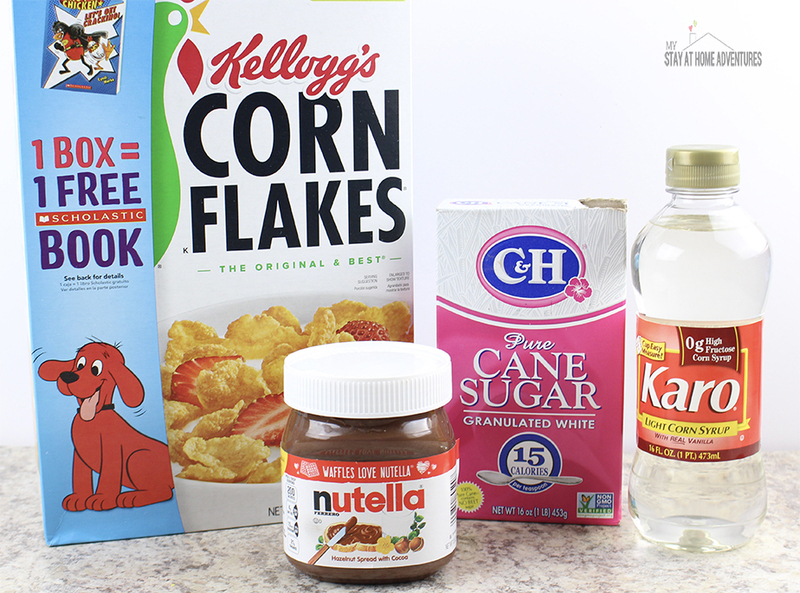 Add the Nutella spread and stir until incorporated with the sugar mixture. 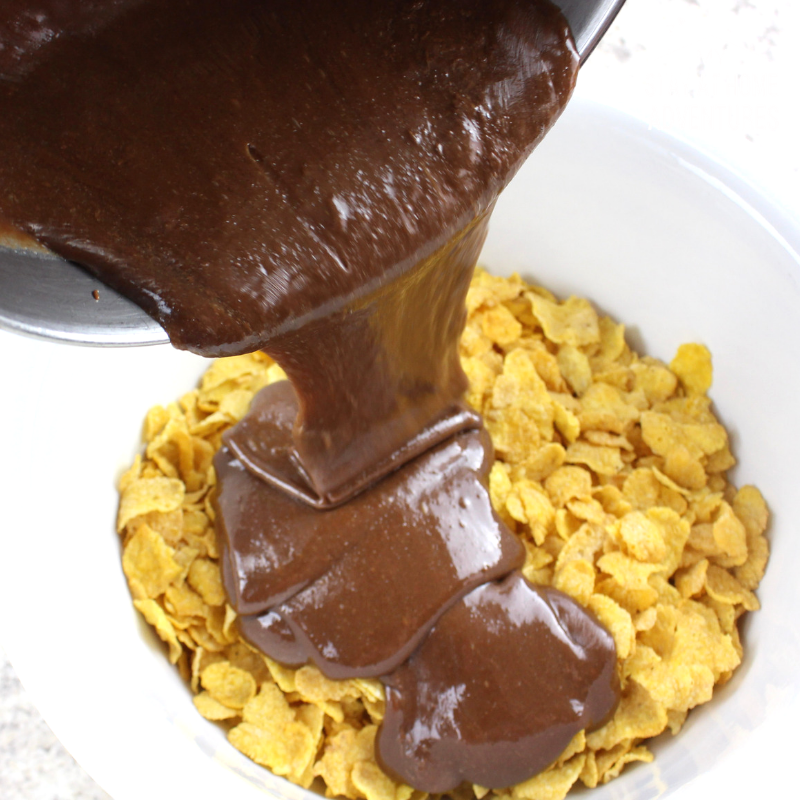 Pour the Nutella mixture on top of the cornflakes and gently mix to coat the cereal. Spoon the mixture onto the lined cookie sheet. I used an ice cream scoop to keep the treats uniform in size. Chill for 30 minutes before enjoying. That looks so good. 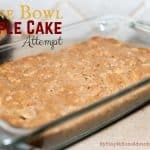 So very awful for you, but so good!